I've found metallic gold fabric/leather paint. I'm a giddy, obsessed girl at the moment. 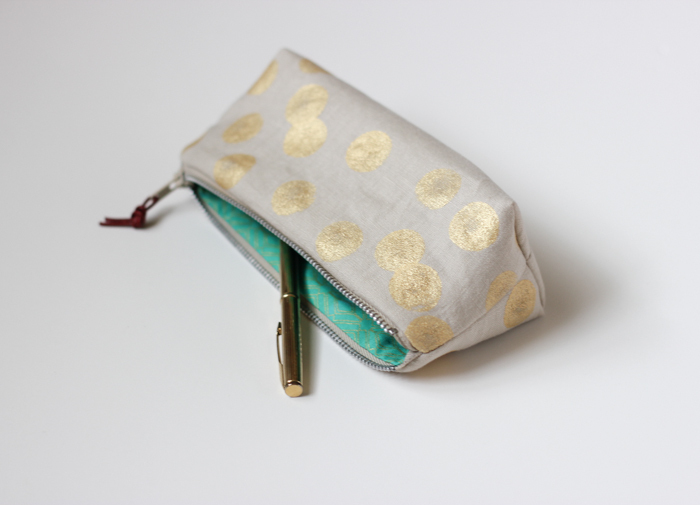 This is the small artist's pouch in recycled linen and gold polka dots. Chocolate brown and shiny gold. That's what I'm talkin' about. 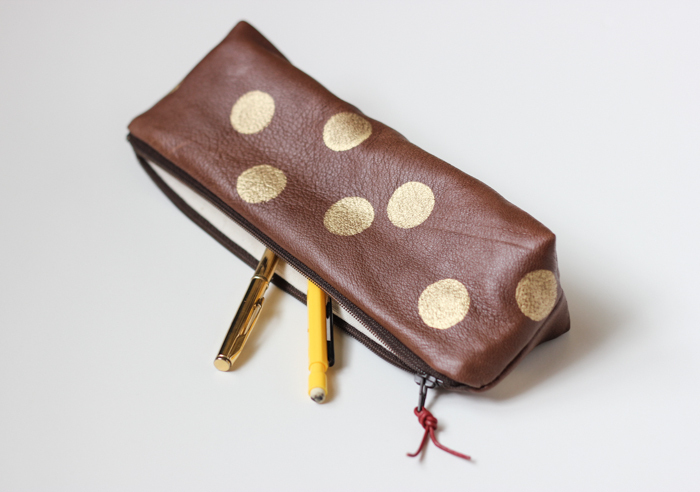 The large artist's pouch in recycled leather and golden polka dots. 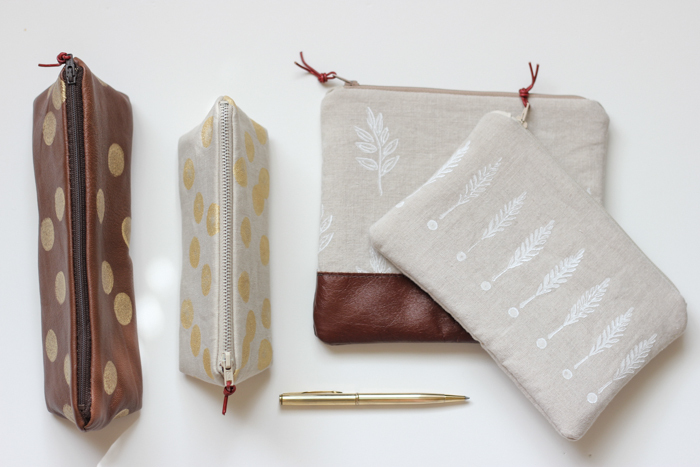 All four items have been added to the shop this morning.